I'm a city girl through and through, but occasionally I yearn to escape the hubbub and humdrum of urban grind and Jakarta's traffic gridlock. Quite recently, I found a little place that is easily accessible, yet could magically teleport me momentarily to some sort of casual bistro that would not look out of place on Parisian streets. 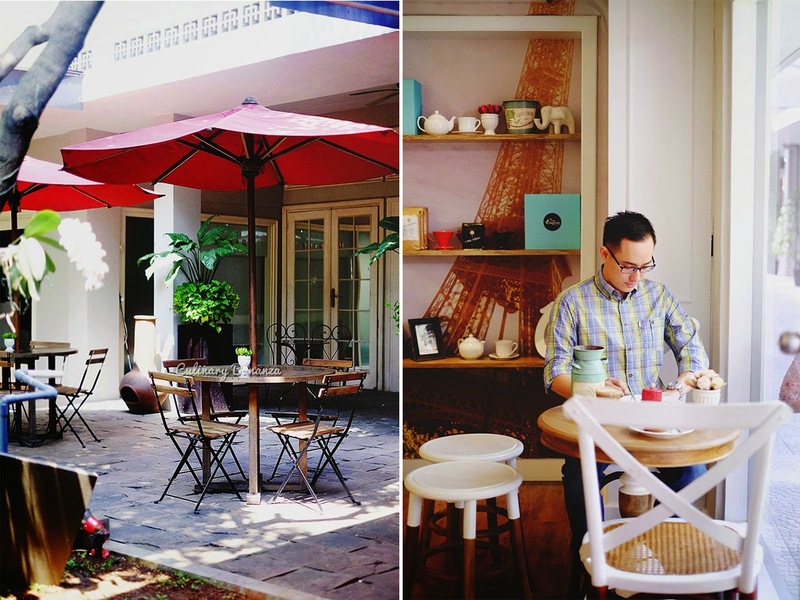 This unobtrusive cafe is located within Rumah Cokro complex in Menteng, central Jakarta. It's not a huge complex, but within it there's a gallery, a meeting space, a yoga & pilates studio this cafe and a few other functions that I couldn't identify. 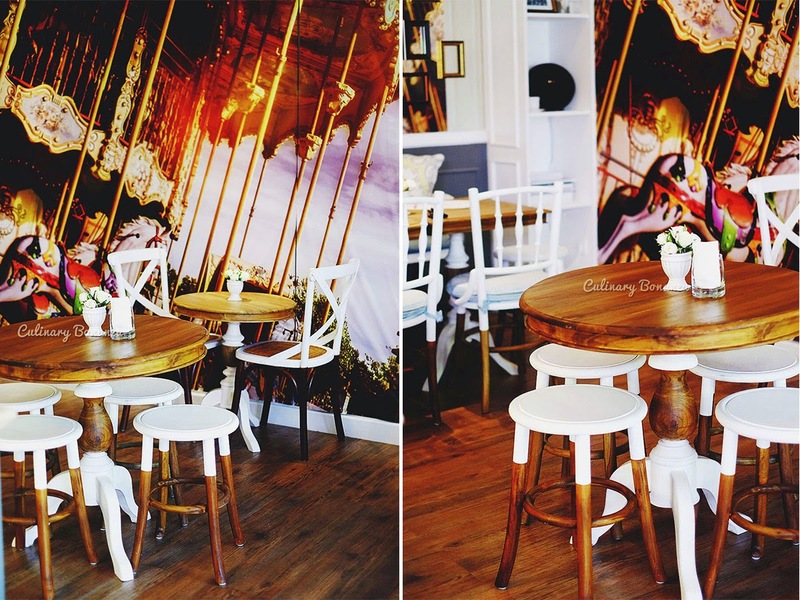 Anyway, the cafe that I'm talking about is Exquise Patisserie. 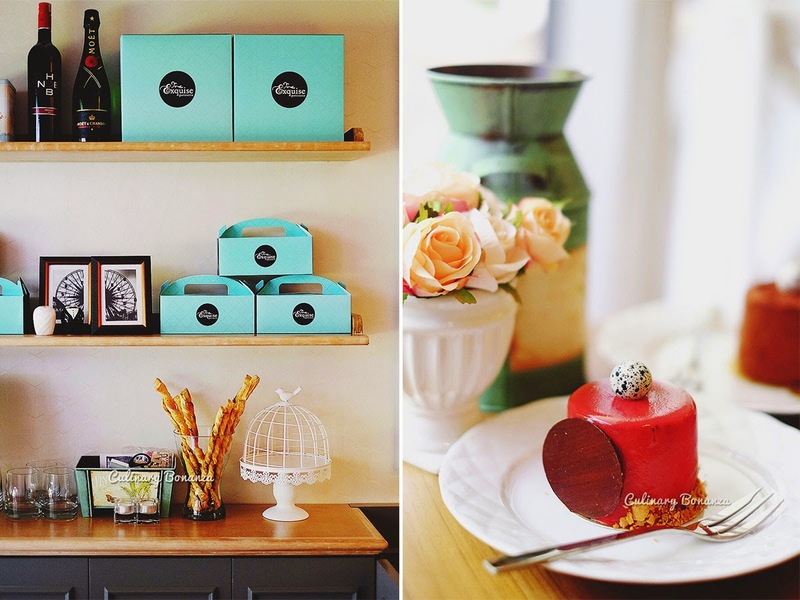 The story of this patisserie began in the virtual world, in the realms of online shop. Then, like Pinocchio wishing to become a real human boy, Exquise finally acquires a physical body in the form of a cafe. It's not a big place, but well arranged to maximize the space they have. 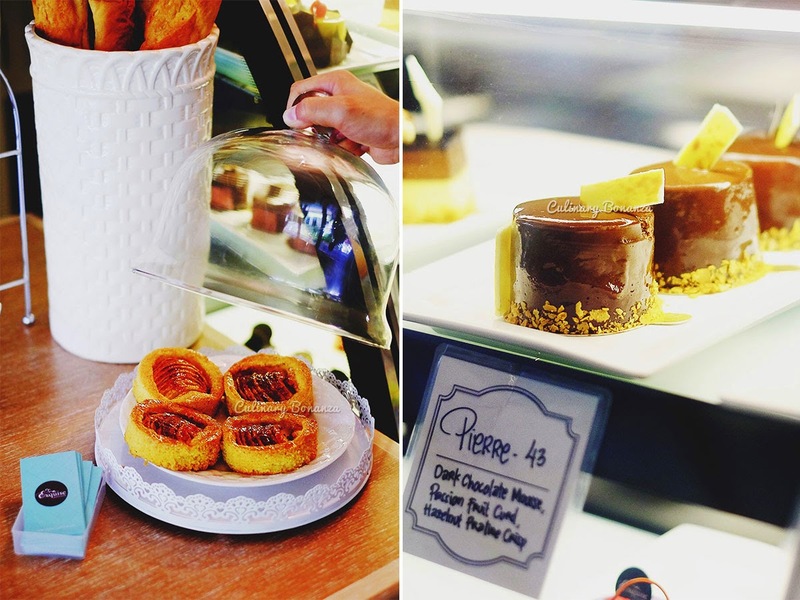 At the cafe, you could find sliced cakes and entremets, some viennoisserie / pastry and for the savoury stuff, the kitchen could prepare salad, quiche or sandwich for you. It was relatively new when I visited (about a week after it opened), so some of the items on the menu were unfortunately not ready yet. But I reckon, by now they would be ready. So, I tried 2 of the signature cakes, Helena (like my name haha!) and Pierre (no added sugar). Helena (the red glazed cake) is an entremet made with valrhona Guanaha chocolate mousse with coconut biscuit, raspberry gelee, pailletine feuilletine & nutella. Whereas the Pierre that I tried was the less calorie version, meaning in place of sugar, they use Tropicana Slim sugar. 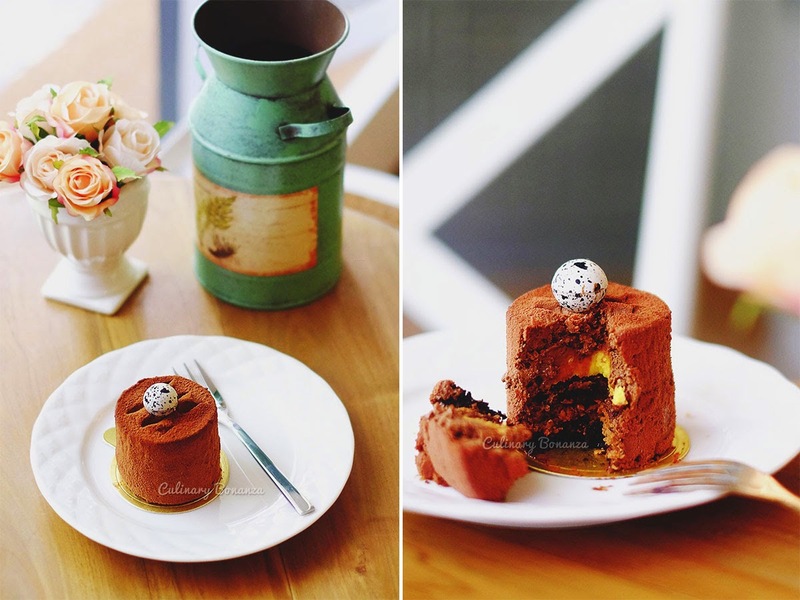 Pierre itself is 61% dark chocolate mousse with flourless sponge cake, passionfruit curd & hazelnut praline crisp. Did I like it? Yes I did, especially since I'm more of an entremet and mousse cake fan.